Right, let's get the gimmick over with first because it's a top gimmick. In fact if there were a Photobook Prize for Gimmick of the Year, this book would win it (jointly with Melinda Gibson's Smell-O-Rama Fire Experience). The book is everything will be ok by Alberto Lizaralde (co-edited by Cristina de Middel ) and the gimmick is a thermodynamic cover that changes colour when you touch it. Press your hot little fingers on the matt black cover and it bruises, it is marked. The black turns to white. It's like charcoal turning to ash, death in its physical form fading into something ethereal and immaterial. That gets you thinking and so do the pictures of tears that run throughout the book. They are real tears, real grief, and they make the book. 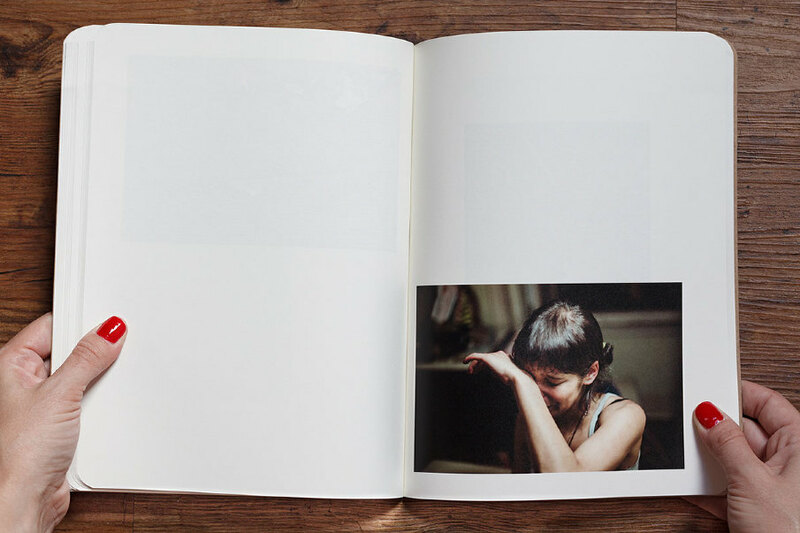 A theme of absence, loss and acute violence runs throughout the book. Abstract images of holes in the ground, gaping fish mouths and concrete blocks in the sea are familiar but still provide a feeling of disorientation, but it is the grief that tells you that something is wrong; the exhausted face of a woman spent through waping, the reddened face of the (same?) woman stuck in the depths of grief. Who was Jorge and how did he die? And who is this woman that grieves for him so? Or is she not grieving for him? The book ends on a high note with fireworks, waves and celebration; the material becomes immaterial, loss loses its immediacy and the sky is bright with freed spirits. Which is the cover again though on the cover the loss of pain is only temporary granted by human touch, warmth and emotion. And perhaps that's the same real grief. It only goes away when you touch it. 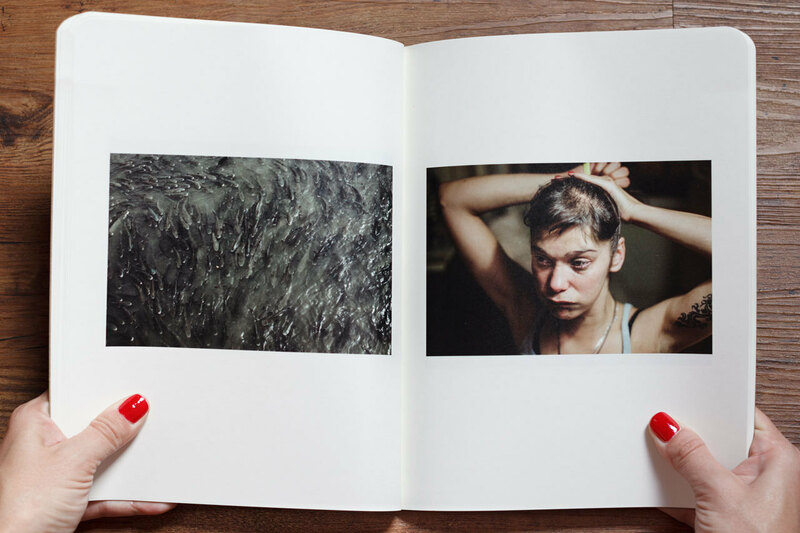 The book is up for the Paris Photo first book award. See it here with the other contenders. It's a great list . This is the story of the book from Lizaralde's website. 'In life we all go through good times and bad times over and over, tirelessly. I went through one of these cycles and transformed it into this book. It was my story but very well could it be yours. "everything will be ok" is the chronicle of a magical journey that starts with the emotional collapse that comes after falling into the hole and ends, through a long healing walk, with the assumption that after all, and whatever happens, life is always worth the struggle and it can actually be pretty funny. And this is Anne de Gelas' great book on grief, L'Amoreuse, in which sorrow and heartbreak is made concrete and personal. It is fact full stop.